This is a Custom Level named the same as the 'Standard' Gruntziclez Stage 2 puzzle. Some enemy Gruntz have been given a bit more 'intelligence'. Zap Cola has been reduced, so use teamwork to get past enemies. Seven Red Toggle/Hold Switches have been replaced with a single Red Toggle Switch. A Rolling Snowball operates that for you ... isn't that nice? This reduces the need for your Gruntz to operate them ... but timing is tighter. Some Toolz are called for via Megaphonez , all in plain sight. The SecretTeleporterTrigger will only get you the Warp Letter P .
The Question Mark Switch earnz prizez which show up on the completed Statz Page. I think it's nice remake but you should add correct snow/dirt edges (around added arrows and around one multi-grunt switch). I thought that only changing the original is not an objective of the project. I thought that the objective is recreate the campaign/quest mode. Create new maps, absolutely different, a little harder etc. 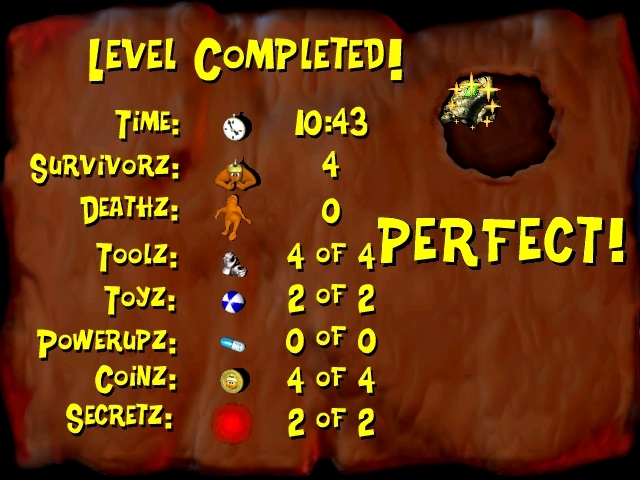 The way I see it is to recreate the campaign/quest mode by making levelz similar to the original, whether you start from their design and improve from there (what GooRoo did on this level) or start from scratch while trying to keep things similar overall in the new level (what I've been doing). 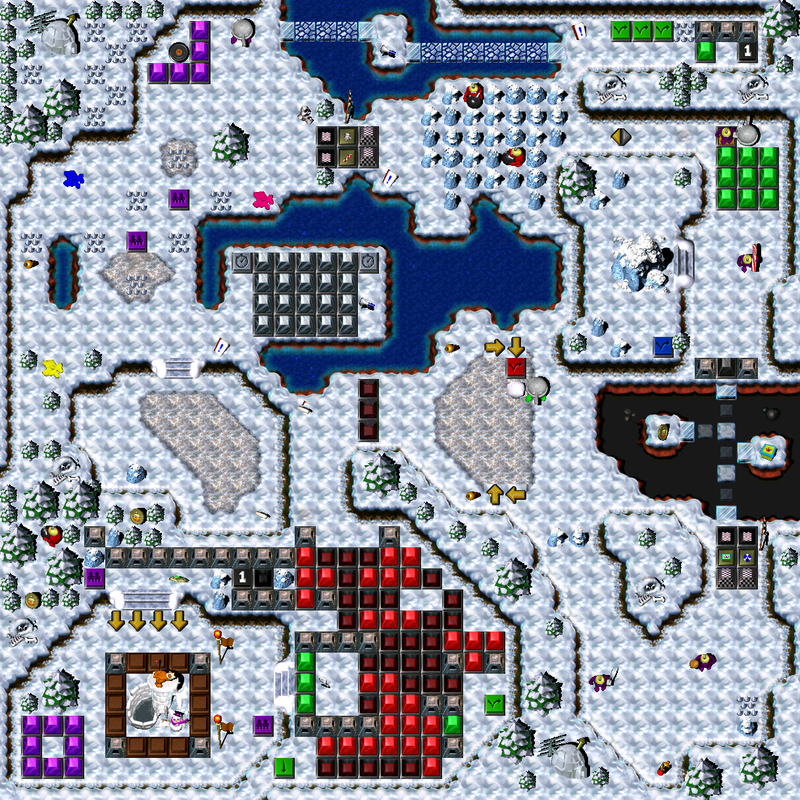 I started out on this one with the idea of retaining the original map, but replacing all of the Gruntz with only ones carrying Rockz. Unfortunately, that did not work out with the layout ... Rockz Gruntz simply could not perform actions necessary to get "from here to there". So I reverted to making the Secretz work properly, and giving the enemy Gruntz toward the end more 'intelligence.